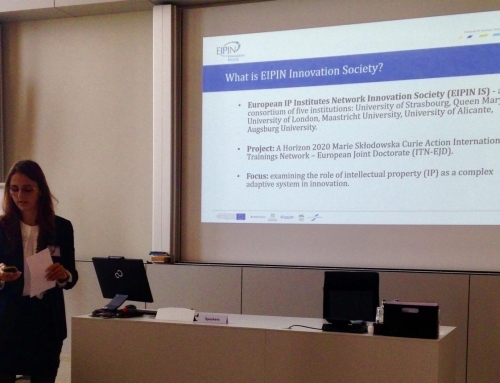 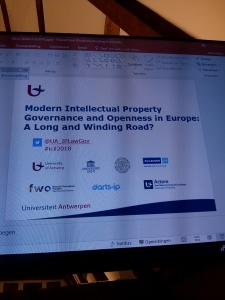 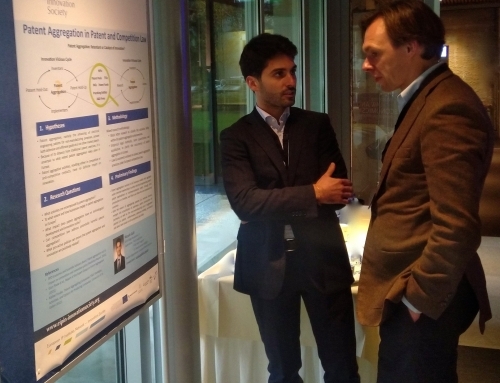 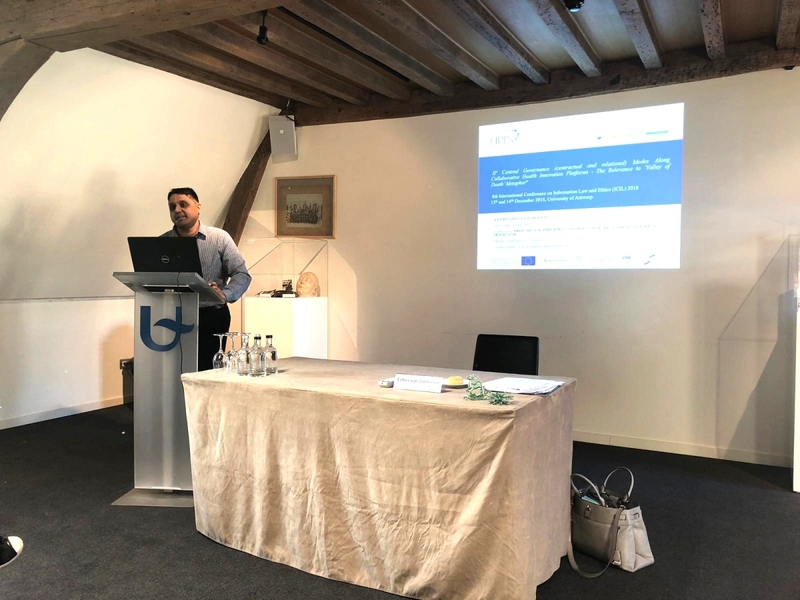 ESR 1 Krishnamani Jayaraman presented preliminary reflections of his research at the 8th International Conference on Information Law and Ethics titled “2018 Modern Intellectual Property Governance and Openness in Europe: A Long and Winding Road?”, 13 December 2018, University of Antwerp. He delivered a 15 minute panel presentation titled “IP Centred Governance (contractual and relational) Modes Along Collaborative Health Innovation Platforms – The Relevance to ‘Valley of Death’ Metaphor”. 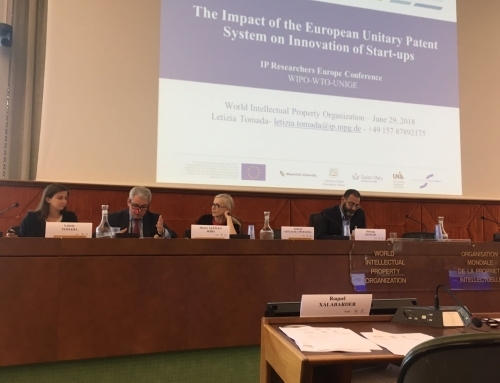 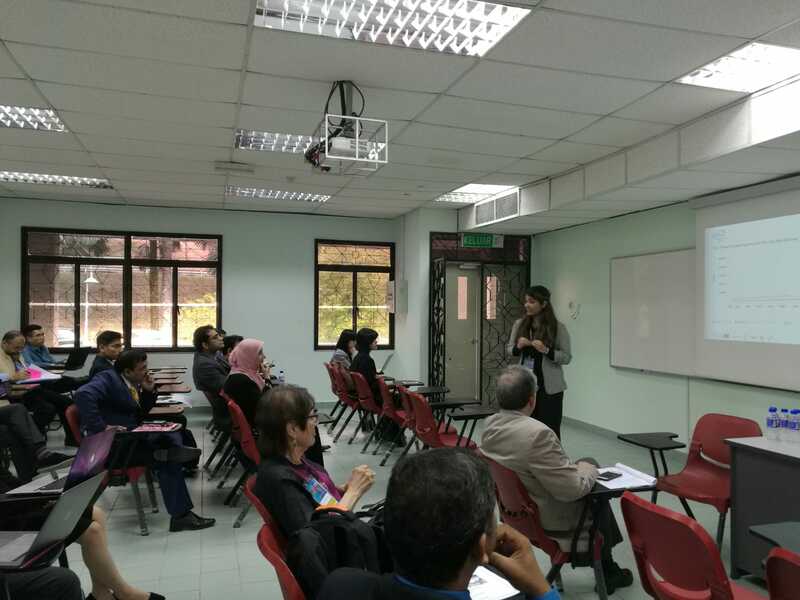 Well received by the audience including IP lawyers, academicians and industry personnel, the presentation focused on re-conceptualisations to IP that foster social innovation in biomedical sciences.